Military history encompasses the history of mankind as it is our wars which have defined the lives we now live as much as any other aspect of our development. The Roman Empire has produced as much literature as the much later British one, and the Roman Legions and British Regiments are equally examined. 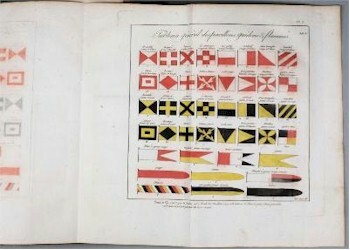 Cours Elementaire de Tactique Navale, Dedie A Bonaparte, by Audibert Ramatuelle (BK11/316). Winston Churchill was a prolific author before and after his rise to world prominence and his take on military history and the wars in which he played such key roles are a good starting point for any collector of military history.